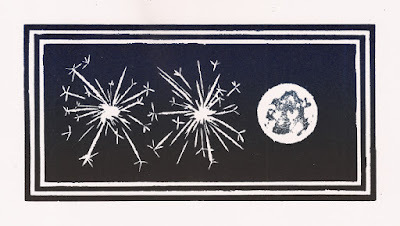 They're probably what I look forward to the most at a firework display and I have fond memories of sparklers in dark, damp back gardens. 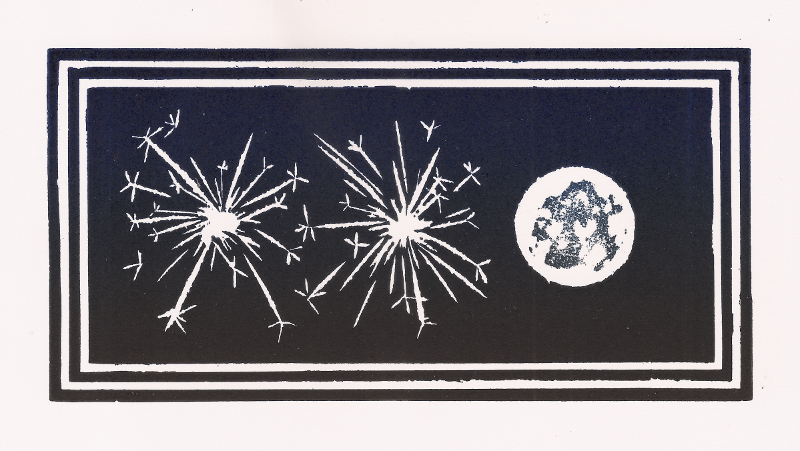 First of three linocuts: three scintillating sparklers. I had fun producing these lino images of coruscating sparks, harsh but tamed, between bonfire smoke and one's own breath, the sharpness of the sparklers matches the crispness of the air. 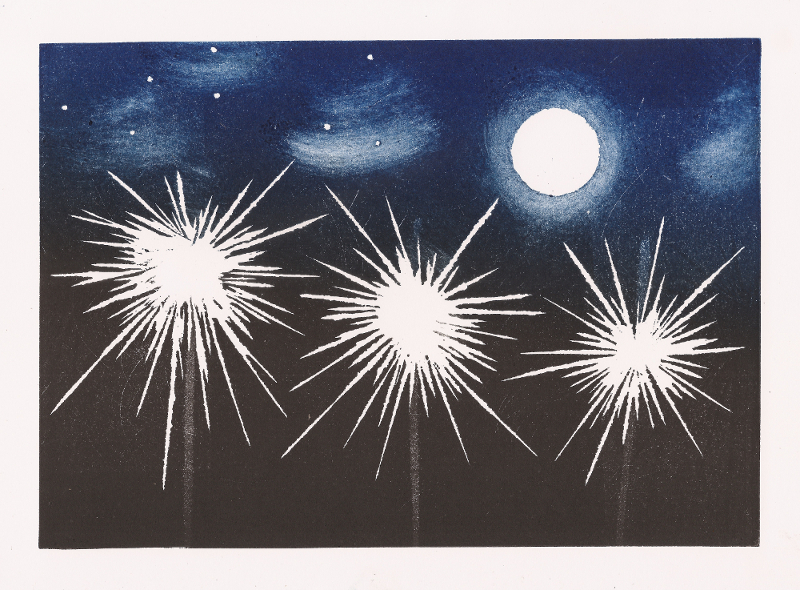 Second linocut: two sparklers and a November moon. The prints are in three different shapes and on two types of lino (one being quite rough and misty), with aspects of monoprint and a fade from blue to black. 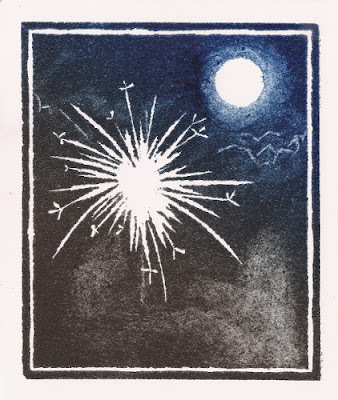 Third linocut: a single sparkler in a smoky garden. 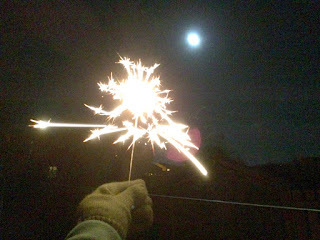 Having got these together during the week, I had my humble back garden firework party last night, with a full moon, as foretold in art. They sparkled and went out - a tantalisingly transient pleasure. 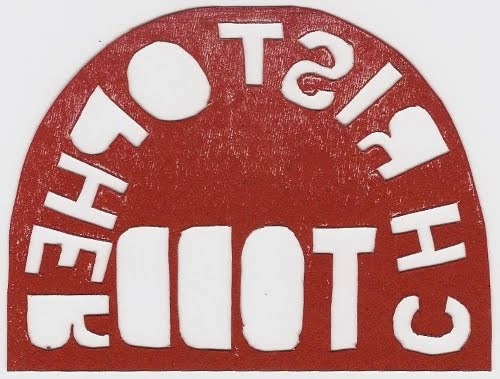 The same again but in real life! I think they're better in print than in photos.